Scottsdale is a perfect place for newlyweds looking to enjoy their honeymoon with a bit of excitement, a feel of luxury and lots of post-reception romance. With a collection of outstanding resorts, thrilling adventures, pampering spas and stunning landscapes, the city proves to be the dream destination of the newlyweds. This city also attracts the couples towards its world class museums, architectural wonders, renowned botanical gardens and nations largest wildlife reserves. The honeymooners can also take a visit to a winery or a working olive mill along with an award winning zoo and the amusement park. The Phoenix Metro area is served with several airports and the most used one is the Sky Harbor Airport. One of the alternative airports which can be used to reach here is the Phoenix-Mesa Gateway Airport, served by various smaller airports. The couples can enjoy a slow and romantic ride on a gondola in the waterways of the Hyatt Regency Resort at Gianey Ranch. You can visit the Sunday Brunch with your spouse and enjoy the piano music and champagne at this historical site of Scottsdale. 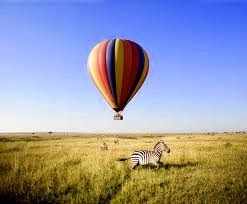 A sunrise hot air balloon ride could prove to be a romantic thing to do with your beloved and enjoy the scenery of the land, flying at some height. You can take a leisurely walk across the Desert Botanical Garden with your partner and explore the flora and fauna of this place. You can also sit at the bench in the garden and express your extreme love for your partner. The couples can go to the hill top Buttes Resort, considered as one of the romantic restaurants of the city. It would be great pleasure sighting the stunning beauty of the valley from the top of the hill. Some of the luxurious hotels include the Scottsdale Resort, The Phoenician, The Boulders, A Waldorf Astoria Resort and the Hyatt Regency Scottsdale. These hotels offer a high level of comfort to the couples with excellent services and friendly staff. Beautifully decorated rooms based on romantic themes also attract the honeymooners to make their bookings in these resorts. The dining facilities here are also awesome. There are some restaurants which offer services which are appreciated by the couples from excellent food to romantic atmosphere. Some of these wonderful restaurants include Bistro24, Bodega Bistro and Coup de Tartes. 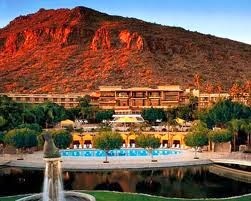 The city of Scottsdale has all the amenities and adventures which would make a honeymoon trip an everlasting memory. So, plan your honeymoon to this place and have tons of fun.